Well timed b33_b44's to force a whiff and launch; and maybe u+3+4. Other than that, patience. I play a few locals that are very poke and string happy, and since yoshi doesn't have a lot of the basic tools to stop momentum, sometimes it's best to just guard until they make a mistake and either flash/ SS (launch)/ or duck and punish. Unfortunately, there's not much detail to give for these kinda things since it all boils down to character knowledge. Take a deep breath, keep a clear mind, don't let your ego or emotions get the best of you. In stressfull situations your mind will make things seem worse than they really are. Try and take a step back to re-evaluate the situation, sometimes that will help. As much as I hate to admit it, talking with others and getting different perspectives help. I can understand why you may not want to though, cause I don't like to share my feelings like that either. May I ask what your issue is? Feel free to PM me if you don't want it public (if you don't mind sharing, that is). For some reason, I'm the go-to guy amongst my friends when people have some kinda problem, heh. I suspected as much but I didn't want to reply until you'd answered Tenshi's question. When I am in a difficult situation, I have a habit of not facing it right away. I withdraw into my own world for a few days, (literally actually). I tend to hit the bottle too (meaning I start drinking too much, I don't recommend this part though). Then I start to gather myself together through meditation, and I'll do yoga more often, drink less and eat well. Eventually, I pull through, ready to face the world with my usual cheeful manner. Oh and most importantly, I speak to my friends. Not because I require answers or solutions from them, but just because it does me good to get my problems out and share them. It's also nice, because when I am back to my usual self, they're so pleased for me and I enjoy the good times even more because of that!! My friends are so precious to me. 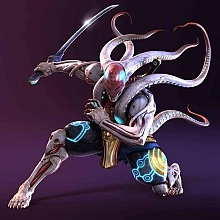 If all else fails, thinking about or talking about Yoshimitsu is also a great way of lifting my spirits. Watching stand up comedy also helps me out. And AK 47 I think that you really need to talk to someone, it's obvious to me that you want to be listened to or else you would've never brought that up in the first place. And you're regretting it cause you're afraid to confront it or afraid to get hurt or something I dunno. But I'm sure that there are enough people here who are willing to help and listen to you. And you're still very young my friend don't be afraid to seek out for help, don't think you should carry out the whole world on your own shoulders. I really dislike being in this spot light position, people reaching out and trying to help which is nice but is can't help to feel its wrong in some way and thanks guys but let me explain. I'm an asperger which in my case means that I over react to if you compare me to a neotypical aka non diagnosed, person, this might very very messy and hard to understand the point of, I will correct the mistakes later on but thats how my mind works when my brain is on overdrive mode. I have for 1,5 been at a foster family, they aren't no strangers to me, I have in fact been knowing them since I was like 7 years if not more, I live there of my free will because my mother and I agrred that it would be the best for me because it would give me more possibilities (weird but true), so I was sent away from home so that way I could start on a special school and at the time I didn't a have school to go to because I was told that I should not go to a normal school anymore due to the fact it was hard for me to deal with and the municipality didn't give me a fitting school offer at the time, if I moved away it would give me training at a housing which has been known to be one for the best places in the country if you have something in the acoustic spectrum, the housing will teach you to be more Independent and ready to live an adult life and the place also included a special education that is the mean reason why my mother and I though it would be nice to we said yes of cause. I was promised that but thats not the case anymore, I fear that if I miss that, I shall start all over again and that freaks me out massively because I failed to fit in a normal school, so a normal education will be that much harder right. I have learning diffculties both practical and school wise so you kinda where this is heading not saying that i'm not good at anything but theres reason why I was giving the offer in the first place. One for the major problems is that I'm living in a different municipality than the one thats paying for my special school, the foster family and what should have been my future education and housing, that funny thing is that every one around drag into votes yes for last part, school ,foster family, mother, my social worker from the other municipality even says its the right thing but the person is really in this case nothing but a messenger delivering undated news because she has way to many people for care for. The danish law clearly says that the childs well being should be a priority above economy but thats not the example here, the ministry of education into this because the system is having troubles agreeing with the people that knows what I'm able to do, they are discussioning whats is the right thing to do with me at the moment and we don't know when we will get answer, But I can understand its somewhat to late I guess, they would have told me if they knew by now perhaps a good surprise will come but if my knowledge serves me right it wouldn't. If so thats what gonna happen, It leaves with me one option get back to my mother and lower my standard and remove my support and I could live with that, I will be back home and have good friends around and stuff.. so whats the damn problem you might ask? I can deal with it if I know the outcome because then I can prepare myself for the trouble but if I'm not told what route I'm heading, chaos kicks in, I'm getting pressured by many sides here and time is running fast now against me but if I should could focus clearly with out making disturbance, I should just wait and see but I weren't Into the idea of getting back home at the again at the start but because that was predictable it has become safety and a way to stabelising my thoughts and It locks the other what if door. this is there my question comes in. Check your inbox, I mailed you !! I have ordered the Tekken 6 ARCADE STICK BUNDLE because it was very cheap compaired to when I first looked upon it, so I'm gonna start all over again feel like a total beginner and what a wonderful feeling it will be but the package comes with the game so I got an idea. The site keeps automatically logging me out every time I view a forum topic or reply to a forum thread. @A.K.Fan - there's no other way to mainain stability than to search it within yourself. Home changes... people come and go... work changes... the times change... and you are in the middle of it. Seek the stability in your mind. But in order to feel comfortable in your own skin, you have to accept yourself, understand yourself. The way you are. Not the vision you have in your head about yourself. Accept so-called "wins" and so-called "fails". There's in fact no "win" and no "lose", there's only experience. Don't trust too much things that people tell you around, that you have this or that, "you're asperger blah blah", trust only your own experience after a deep study of yourself. The features you have are individually yours. The funny point is... if you accept, understand (and love) yourself, you'll suddenly realize that there's not much to change - you'll only need some more control over your reactions. Life will become an adventure. You'll enjoy finding yourself in various situations and seeing how things will turn up depending on your interaction. You're not alone, everything's connected. Many people fear this journey of self-development. They fear things that they'll find in their head, because they'll find out they're not that "saint" as they think they are. But there's no other way. If you don't know yourself, how can you know anything else? Click on a big green button "pobierz plik"
And hi, everyone! I haven't been online in a long while. I've actually been really busy with work, but now that things have calmed down, I thought I'd hop back on and see what everyone was up to. Hey BlueShark ^^ Good to see you again. I've also been busy and it appears to be exam time for many people which might explain the lack of activity lately. What have you been up to? How is Yoshi-plush doing? My lack of activity has been due to a new boyfriend, new job and small financial win (spending spree sadly over and the rest locked away in a savings account for a rainy day... possibly a rainy day spent in Tokyo although the sensible part of my brain is saying 'boiler breakdowns, new washing machine, emergencies..'). Anyway, glad you're still around. Don't forget to get that plush entered into yot awards!! I've been doing quite well, and Plushimitsu, while still unfinished, is snug next to my pillow. I'm planning on finishing him this week, since I don't have a lot planned. Funny that you mention Tokyo. I plan on taking a trip out to Japan this September. I'm going to be staying in Gunma, mostly, but I'll also be spending some time in Tokyo. I'm so excited!